Comments on hearing Ann Schein play Chopin with the Harrisburg Symphony on March 22nd. She will be offering a master class on Friday at 5pm at Messiah College and will perform a solo recital with Market Square Concerts at Whitaker Center Saturday at 8pm. And by that, I don't mean that the playing was beautiful (though it was) and the piece was pretty (which it is) which meant the audience could find it entertaining (which it did) but that somehow this mystical arc from what-the-composer-wrote-down to how-the-performers-played-it to how-the-listener-responded-to-it completed an equation of communication that transcended time (in this case 184 years) to make a moment in our lives leaving, at least for that moment, the rest of the world oblivious and unnecessary. If this concert communicated anything to me last night (and hopefully others, whether they recognized it or not), it reminded me that I had a soul and it needs nourishment like this and that nourishment needs to be supported and sustained. Now, I'm not a critic nor am I writing a review of this concert. In fact, I'm rarely tempted to put my thoughts about something I've heard into words. As a “trained composer” (and only moderately, at that), I listen differently than most people would. In fact, I'm not even sure how I could just “listen” to music without thinking like a musician either as a performer or a composer: most of the observations I might make would be of no interest to the usual listener, certainly to the casual listener. I've often described this like eating a dinner and one of the other people there is a chef. Lets say she responds to nuance and flavoring and how it affects the palate and how well it follows the recipe (“too much coriander”) and how it compares to other dishes, perhaps by other chefs (“Now, Julia Child would do...”), plus how the wine complemented the entree and so on. Then, on those bases, she would reach a conclusion about the success or failure of the meal. Me – I'm thinking “okay, I'm not hungry now, that was good.” If the steak was burned or the salmon still not thawed out in the center, that I might notice, but why I didn't like it – or even why I did – might not be something that mattered much to me. I attended the Friday night rehearsal not sure what there would be to hear, how musicians rehearse a piece like this. Chopin's concertos are infamous for being “orchestra light” with nothing much to do and I've heard two conductors (not to mention Ms. Schein's own experience with George Szell) who'd tried to talk a soloist out of programming them (and in one case succeeded). But it became quite clear that Stuart Malina was not going to be giving Chopin the short-shrift during the rehearsal. He approached it just as he does every other piece I've heard him rehearse and he worked very closely with the soloist on getting the nuance of Chopin's famously difficult style – the flexibility of tempo within a phrase we call rubato – just right. Without it, the “joins” between soloist and orchestra often sound clunky and whether we know it or not become the equivalent of the proverbial hair in the soup. When did I first hear this piece? 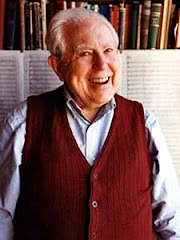 Probably when I was a child – we didn't have many classical music recordings in the house when I was growing up at first, but most of the piano recordings were with Arthur Rubinstein, one of the great pianists of the 20th Century and with whom Ann Schein studied (and since Rubinstein took on few students, this is quite an endorsement). I heard Rubinstein play live only once – an all-Chopin program in the early '70s when he was already in his mid-80s. And I watched a broadcast of him playing the Chopin 2nd on television in the late '70s, recorded when he was around 88 and had been playing the piece for probably 80 years. I'm not sure how many times I've heard it live – not often – but often enough to always be disappointed whenever I did. Pianists who played to the scoreboard, trained to win competitions, make a hash out of the spirit behind Chopin's intimate, intricate music. I remember passing up an opportunity to experience Lang Lang (considered one of the most acclaimed pianists today) because why would I bother with someone who plays to the crowd play Chopin? Chopin is not a crowd's composer. Lang Lang always reminds me of a circus clown with lots of talent: when he is 60, if he lasts that long, I will listen to him play Chopin because by then maybe he will have had one of those epiphanies that Rubinstein had when he was young – how he realized he was just coasting along on his talented laurels but suddenly found it empty; how he took a year off, completely reworked his technique (it's not just hitting the right notes) and came back a completely different and astoundingly greater interpreter. It is not easy to do – it's not even easy to admit to – but it is something every artist sometime has to do to survive. It is too easy, these days, for young artists of any kind to believe their own hype. Perhaps that's one of the reasons Ann Schein survives – she recorded the Chopin 2nd when she was around the same age Chopin was when he wrote it: 20. But there was never any hype about her the way we see today (Lang Lang, fresh out of conservatory, already acclaimed as “The Horowitz of Today”). She made some brilliant, well-received recordings, performed all over the world, but rather than pursue a career chose to raise her family and teach. 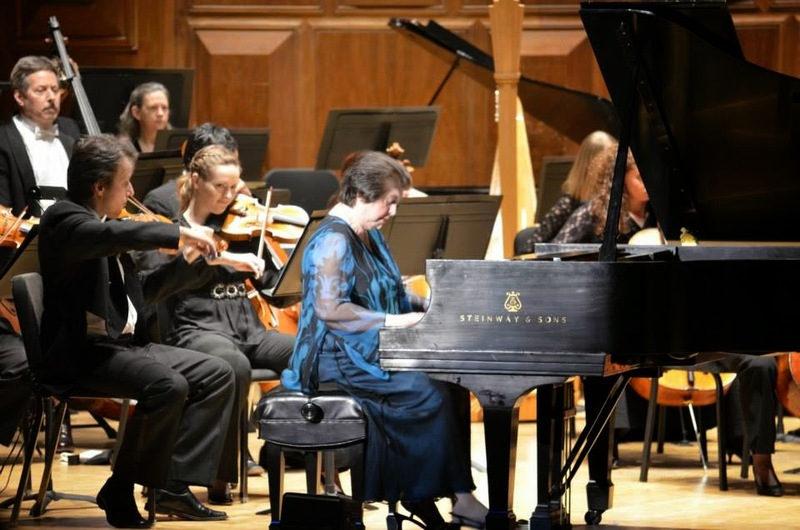 But she has never stopped performing – she has, after all, played the Rachmaninoff 3rd Piano Concerto over 100 times – but she has somehow stayed under the general public's radar. There have been other pianists who are better known and more frequently recorded: to name a few, Alicia de Larrocha, Martha Argerich, or from earlier generations Dame Myra Hess (with whom Schein also studied), all of whom are regarded as giants. But even at 5'2”, Ann Schein should be regarded as just such a giant. And anyone hearing this performance at the Forum had an opportunity to realize that. I thought I would never hear playing like this again. Rubinstein and the great pianists of his generation(s) have all passed, now. Emanuel Ax and Krystian Zimerman (both, like Chopin and Rubinstein, Polish) may be the best Chopin interpreters we have today – and that's not too shabby, by the way – but this is becoming more and more a thing-of-the-past as we hear Chopin metered out by performers who search for audience approval the same way we determine winners on American Idol or what movies won big at the Box Office during their opening weekends (how many of those have won Oscars? How many of those end up as the Top 100 Movies of All Times?). I shudder to think of some future generation looking back on the present as a Golden Age and not just in the interpretation of Chopin. Chopin himself had what critics called a “small sound,” meaning the sound he produced at a piano did not carry well to the back of a large concert hall – and that was before the days of 9-foot concert grands. Chopin was at his best in salon performances, not great halls, and “specialized” in writing miniatures for solo piano. Perhaps this “small sound” was the reason for that, why he didn't pursue a career like his friend and rival Franz Liszt (who, disagreeing or not, at least understood Chopin's genius) and why he wrote no more concertos for himself after the age of 20. 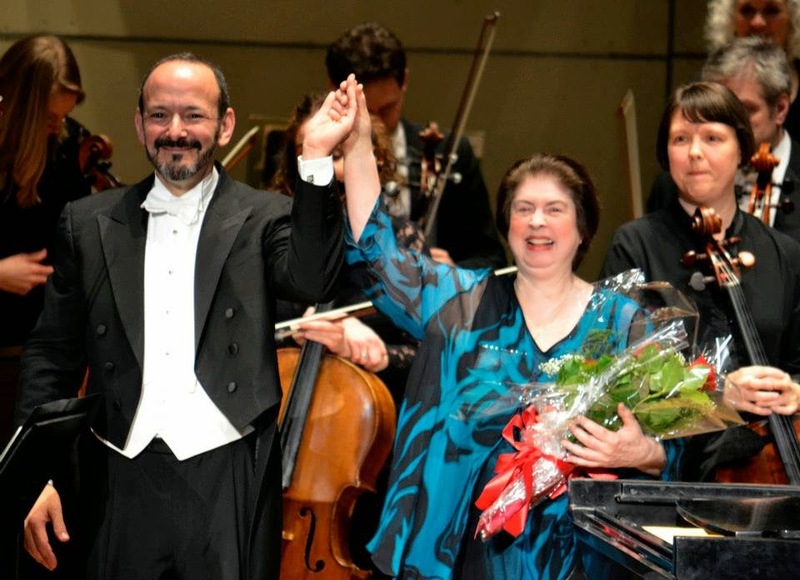 Brahms had a huge, easily over-powering sound – and all you have to do is compare the B-flat Piano Concerto Markus Groh performed here in January with the Chopin F Minor Concerto Ann Schein performed here last night. They are as different in sound as they are in intent, Brahms writing a vast symphonic concerto while Chopin looked at the concerto from the other end of the telescope. Yes, the focus is on the soloist – Chopin's concertos are part of the “virtuoso tradition” that also gave us Paganini and Liszt, in one sense, as well as a whole generation of long-forgotten pianists and concerto-writers like Kalkbrenner, Moscheles and Thalberg. Chopin's inspiration wasn't the symphonies and concertos of Beethoven (keep in mind this concerto was written only 3 years after Beethoven died) but the human voice, particularly that of Bellini's bel canto style which means literally “beautiful voice.” His piano writing sounds more like an aria in which the pianist's right hand becomes the soprano's voice, complete with all the nuanced varieties of the style – the “ornamentation” which, unfortunately, makes it sound like a frill in the wrong hands, or the use of rubato which pianists often take to an extreme and ignore the fact that, underneath this, there is still a pulse. Pianists who love to play loud and play lots of notes as fast as possible – and the audiences that love them – will never understand Chopin. But that still doesn't explain why I could be brought to tears during the slow movement of this concerto, last night, during this gorgeous aria for piano with incredible if minimal support from the orchestra. In addition to her own heritage, studying with great Polish pianists like Rubinstein and Mieczysław Munz, Schein stresses in her teaching the importance of color – listen to the radio interview given at Aspen in 2012 – again, more than just playing (much less “hitting”) the right note, but how you play it, how you make it part of the line, how you voice it within a phrase, how it balances with the harmony supporting it and so on. When I heard the rehearsal the night before, the first thing that struck me was how unfortunate the piano sounded, a few notes fractionally out-of-tune (that can be fixed, hopefully) but, more problematically, poorly voiced. Her opening passage from the higher to the lower register and back again, sounded like it was played on three different pianos. How could she make bel canto out of this? Since pianists do not carry around their own instruments, they learn to deal with what they're given at each and every performance venue. One piano can be a fine instrument and another one can be miserable (depending on its care and maintenance) – plus it also depends on the acoustical environment it fits into, a resonant hall or a dry one, for instance. And all this could be different from one pianist to another. So they learn to adjust. By giving a little more to this note or less to that one (intonation is something you can't compensate for but if it's on the high-point of a phrase, you adjust the phrasing so it doesn't sound so jarring, for example), you can make a listener believe the instrument is perfect. By the time we had gotten into the second movement, I noticed the piano was sounding much better. And by the end, I had forgotten all about how poorly this piano sounded a half-hour earlier. Now, after a good working session with piano technician James Hess, Ms. Schein gives him the credit for making the adjustments she wanted (these would vary from performer to performer, the bane of many a piano tuner's existence). If there were any doubts about the instrument, they were gone. On rare occasion, I've had the experience of listening to one piano in one performance played by different pianists. It amused me to hear a new Steinway at the University of Connecticut which I had played myself and found immensely stiff and unresponsive (I am not, admittedly, a pianist, though I did, at that time, play the piano – and there's a difference), a problem I had to overcome by a few hard hours of concentrated practicing so that we could both become used to each other. I heard a teacher sit down and play, as I recall, a Beethoven sonata on it and thought this piano was only going to be “so good.” This was followed by one of his students playing, I believe, some Chopin, and I remember thinking, “When did they change pianos?” She wasn't a better pianist than her teacher, but she somehow was able to overcome the challenges of an instrument that was difficult to respond. So it's not necessarily the piano's fault – and how does one teach something like that to a student? Ms. Schein said that Jorge Bolet, another great pianist of the last century who I heard play two Rachmaninoff concertos with Harrisburg back in the '80s, had a knack for memorizing how each note on a piano responded and could adjust his technique accordingly. She laughed that she didn't have the ability to memorize stuff like that, but yet she was able to achieve the same thing. But that's only part of the equation, getting what Chopin wrote to what I heard last night and how it affected me. I am constantly amazed at how incredible an accompanist – collaborative artist is a better word for it – Stuart Malina can be as a conductor. This is not easy for anyone who picks up a baton: it's much more than “stick technique.” And while it may have gone unnoticed in the performance, hearing that rehearsal proved he is no conductor to think “there's nothing for the orchestra to do” in this piece. The difficulty comes in the phrasing – the music is, after all, between the notes, not the notes themselves – and the coordination of that phrase between where the pianist places the beat and where the chord played by 60 musicians needs to change. Given the style, this flexibility of tempo often means the tempo “changes” from beat to beat, sometimes several times in a measure, and surely as it approaches the cadence (again, the technical mumbo-jumbo that musicians need to make things work). A conductor follows the soloist and extends or pushes a beat as needed to ensure everyone reaches the downbeat of the next measure together. This is a lot more difficult than it sounds. Someone who keeps the beat strict will quickly make a hash out of Chopin – I've heard it often enough – and an orchestra that doesn't follow what its conductor is doing will be adding their own ingredients to this hash. And it's not just a question of the conductor “watching” the soloist and the orchestra “watching” the conductor. There's a sympathy that evolves between everyone that is a kind of musical sixth-sense: no amount of rehearsal will ensure that it couldn't (and perhaps shouldn't) happen differently at the concert. And everyone has to be right there. There were times when I found myself smiling because just such a moment happened flawlessly. The music breathed like it was coming from one player – and it was saying what, I think, Chopin wanted to say. And then there were the tears welling up in the slow movement, which was beautiful beyond words. And the audience felt this, tears or not: it was only later I realized how quiet this audience was during that performance, the ineluctable modality of the audible. It helps that Stuart is a fine pianist in his own right and also plays a great deal of chamber music. Too often, conductors find themselves needing to concentrate on conducting and let their playing slide. Or give it up entirely. A string or wind player who's conducting an orchestra would have a different concept of this than a pianist might, pianists who have to struggle to do whatever the person they're accompanying wants to do (for better or worse). But there is this sympathy that comes with being a chamber musician, where everybody collaborates and communicates to each other in ways so mysterious, listeners who have never had the experience can never understand it and those who do can never adequately explain it to them. This is what happened last night. Over 60 musicians in the orchestra responded to a conductor in complete synch with a soloist who completely understood what Chopin was trying to say. Something like this should happen to every concert-goer more often than it does, but it was a thrill to sit in the Forum and experience it. I can't say I've felt it so strongly before, myself, as many concerts as I've attended in my life, both here and in New York City or Philadelphia. But it happened last night and it was nothing short of enlightening. Now, if I were writing a “review,” I would never have been able to write as much as I have. 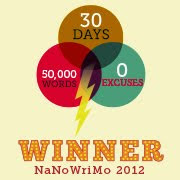 My blog-master isn't standing over me with a deadline or a word-count limit (“really, 3,000 words?”). I should also include pithy observations about the recent piece by Guillaume Connesson that opened the program and certainly about the 40-minute symphony by Rachmaninoff that concluded the concert, but it has, alas, gone on too long (and for that, I don't apologize). When concertmaster Peter Sirotin mentioned in his opening remarks that, over the summer, the State will be undertaking a major renovation of the Forum – new seats (applause), new restrooms (cheers from the women in the audience) – changes long overdue (I would be happy if they would just vacuum the place once in a while), but it was his comment about how important Ann Schein was as a mentor to him and his wife, Ya-Ting Chang, that made this concert special above all others he's played in Harrisburg since he first arrived here in 1996. We all have people in our lives who believe in us and offer us those special insights that help us develop as musicians, as businessmen, as people. I did, but couldn't place her. She was the wife of my junior high school music teacher, Al Bethel, who had played trombone in the Harrisburg Symphony when I was a child, who played in a lot of jazz bands in the area and was an incredible Dixieland musician and a good friend of my dad, well known in his day playing the Hammond organ when he wasn't working at The Boston Store. Al nurtured my interest in classical music and, along with another local musician, Al Morrison, a dance-band musician but also a pianist who played percussion in the symphony, help my parents contend with the challenges of raising a kid who wanted to become a composer. He gave me advice, suggested music I should listen to and above all took me seriously. Everyone should have an experience like this – everyone should have a mentor like this – everyone should be a mentor like this. Then perhaps more people would continue to have experiences like this and be able to enjoy those rare moments when music communicates something beyond what we can only hope to comprehend. 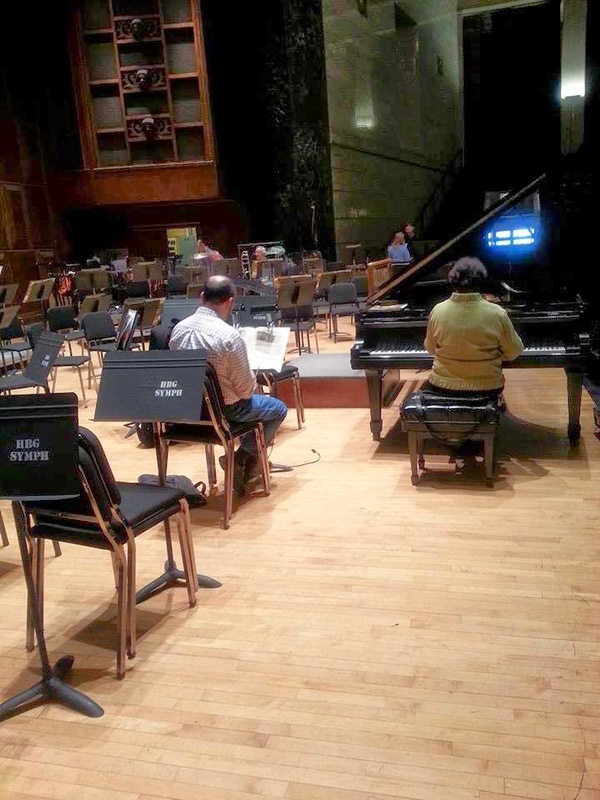 photo credits: the 1st and 3rd were taken by Kim Isenhour, marketing director of the Harrisburg Symphony; the 2nd was taken before the Friday night rehearsal by pianist Terry Klinefelter, principal keyboard player of the Harrisburg Symphony.